Beckman Coulter L8-60 Floor UltraCentrifuge 50000 RPMs 208V 12.1 Degrees C . New Life Scientific, Inc. This centrifuge was successfully tested to 50k RPM by our technician who loves to poke his head under the hood of centrifuges. 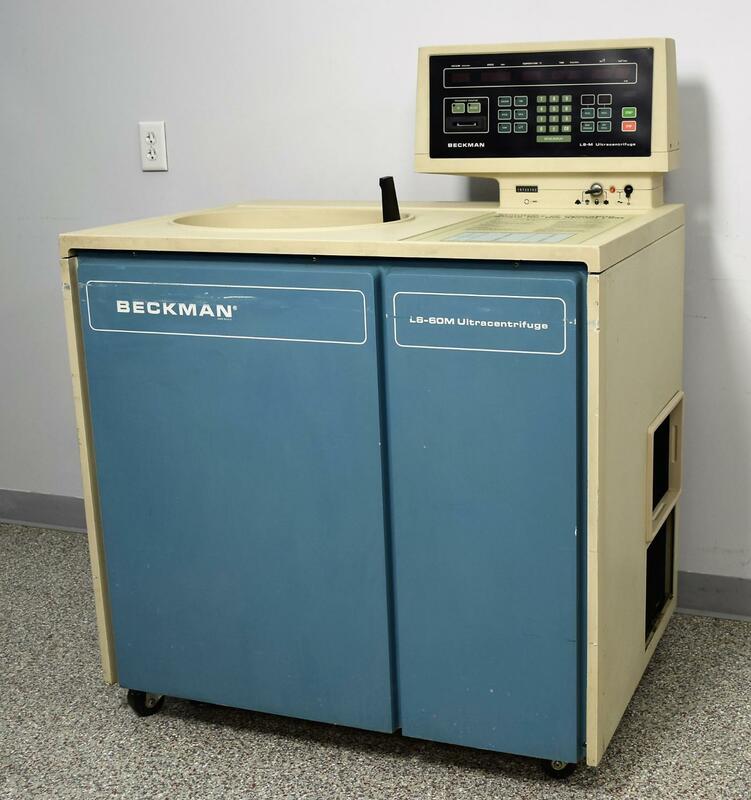 At New Life Scientific, we have experience with a variety of classic floor centrifuges from Beckman and Sorvall. Don't be deterred by the age of this centrifuge, Beckman built these to last and we have encountered many that need little, if any, service to put them back in the field! Rest assured that you are purchasing a product handled by knowledgeable technicians that are familiar with this type of instrumentation. Our in-house technician inspected and tested this Beckman Coulter L8-60 Floor UltraCentrifuge, confirming it to be functional to 50,000 rpms. Technician tested the speed and temperature confirming both are in good working condition as shown by the gallery photo.